cost & start your blog. 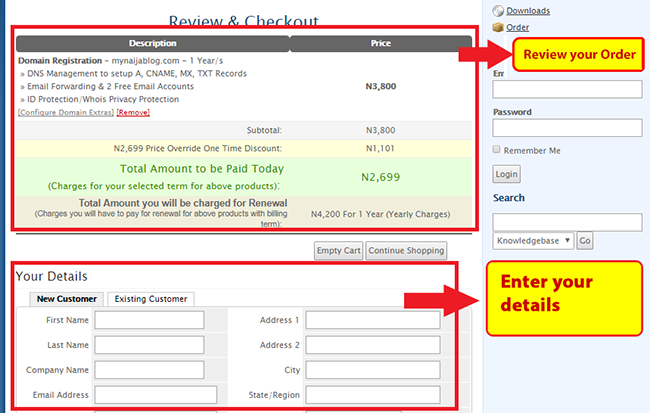 teasing promos on .com, .ng & other domains. is an unmatched deal and you will not find this offer anywhere on the internet. I have elaborated the detailed steps below. 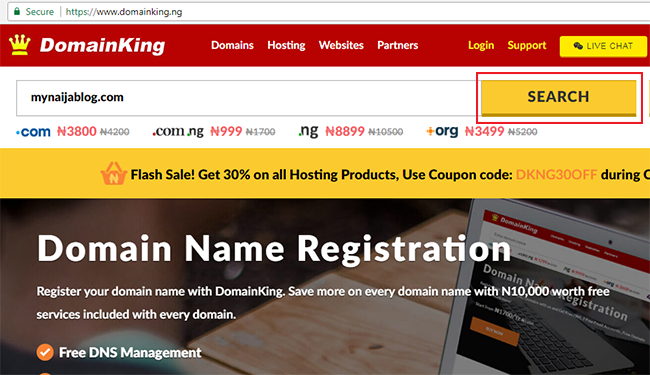 at DomainKing.NG are currently the cheapest in Nigeria. Use coupon DK2699 at checkout. .NG: ₦8899 No coupon needed. and search your domain name in the search box at the top. is available then hit Click to continue. Otherwise think of an alternate name and proceed. addons and enter the nameservers to point domain to your hosting account. 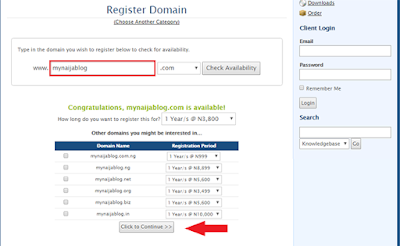 Incase you are registering it for blogger blog then leave them as it is. Then continue to Final checkout page. 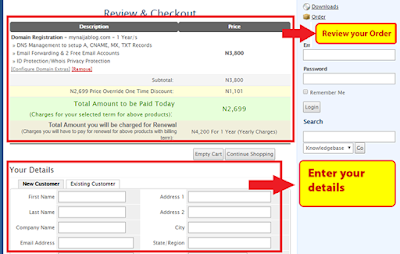 4. Review your order and apply coupon code. domain and reduce the price by adding the coupon. and the price of your order will decrease to N2699. click on “Complete Order” button. your domain registration details on your email. and they will create emails and link your domain to your blogger blog for free. well, this is for the bloggers and website owners. this one na for bloggers and website owmers. Boss yomi pls how can I change .blogspot.com to .com? Wow, this is coming a bit late. I'll definitely make use of it later. I bought from hub8.com u talked on sometimes ago, and I heck have not been able to link it to my blogger blog. Wow… I just chatted dem yesterday and dey set it 4 me. 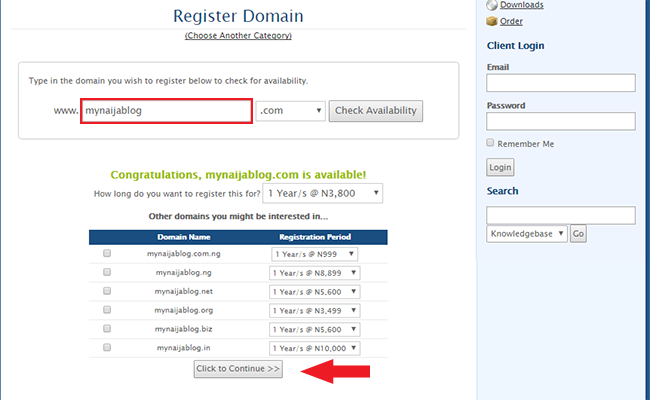 Blogger has accepted d domain. Go to your dashboard settings>>Publishing>> edit the new domain. Check the field that says redirect yourblog.com to http://www.yourblog.com then save. Everything should be fine after that. 1and1dotcom offers me a better option as a web designer. 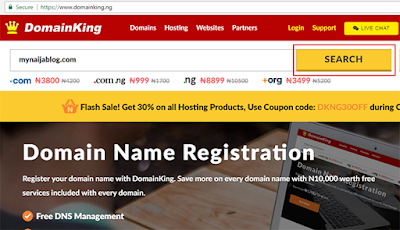 They offers free dot com domain for 1year for hosting at N4500. 100gb storage, unlimited email accounts, free SSL, full control panel. 25data bases, unlimited bandwidth. nothing pays as much as ng.hub8.com. The very best, customer service fantastic! Thanks Alot yomi. I just got a new domain… but them still charge for for transaction fee ooo total was N2777. thanks alot you are the best.